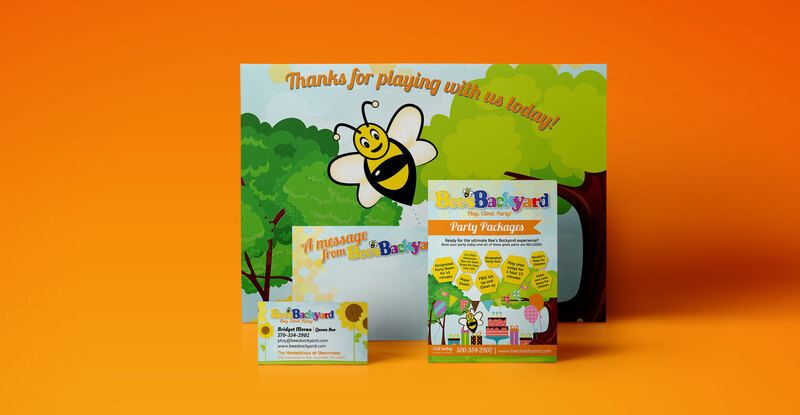 Bee’s Backyard came to us with a brand new concept for a place for kids to play, climb, and party in Downtown Scranton. Our goal was Educate parents on the amenities in the space and encourage them to schedule parties and events for their children in the newly constructed facility. To drive this information home while introducing the new brand, we designed and developed a bright and cheery website full of parallax honeycombs, sunflowers, and blue skies. 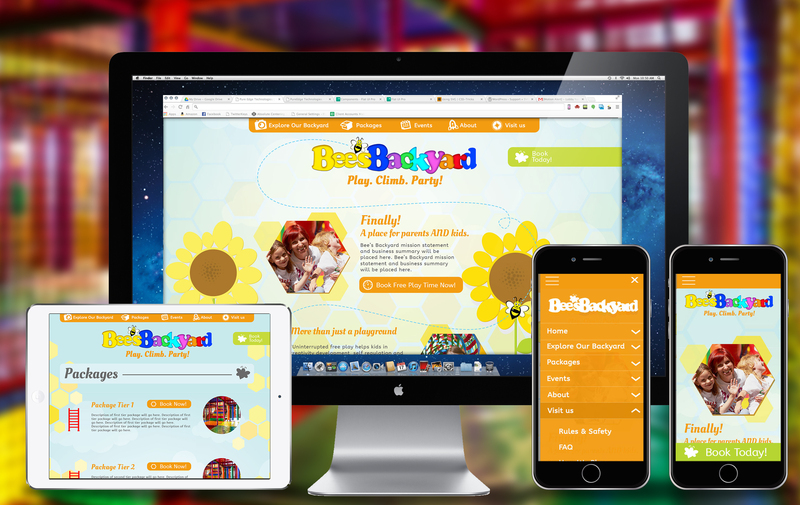 Our favorite aspect of this site was animating a playful bee character that follows you throughout the homepage scrolling experience. To complement the online brand presence, we also created larger-than-life wall decals for their space and designed a wide array of print materials, handouts, and branded merchandise for events.